Warcraft Tanto by Cold Steel 13TL. Warcraft dagger inspired by Japanese samurai daggers. 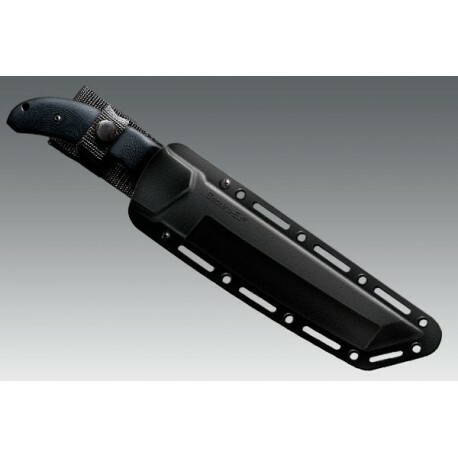 Razor sharp, functional tanto dagger. 12.75 inches, secure ex sheath, high carbon steel blade. Diamond like coating. Luxury Warkraft knife inspired by Japanese samurai daggers. Lynn C Thompson has championed the awesome power of the Tanto for over 30 years. A pioneer in modern Tanto design, Lynn developed Tantos that could not only provide amazing cutting and piercing power, but perform a brutal snap cut too, making lightning fast, versatile and powerful knives that were met with great critical acclaim and widespread popularity, particularly with the Military who appreciated their robust and reliable design coupled with superior fighting functionality. But, unlike many designers who rest upon their laurels, Lynn continued to explore, research and refine his designs, looking for ways to make better and better products. Over the next three decades Lynn has developed a wide variety of Tantos, and the Warcraft Tanto (the first in our new series of Warcraft blades) embodies his very latest thoughts and ideas regarding this truly inspiring blade shape. The Warcraft Tanto's blade is noticeably thicker than many of the knives on the market today. With it's tough reinforced tip, elegantly curved cutting edge and sturdy one-piece construction, it is designed to soak up punishment while delivering unprecedented performance. Made from high quality, expertly heat treated, sub zero quenched American CPM 3-V steel, the Warcraft Tanto's blade features a stout flat ground primary cutting edge and a chisel ground secondary blade bevel, both hand sharpened to hair popping sharpness. The intersection of these two blade bevels (The Yakote) forms a wickedly effective secondary point that allows for a devastating snap cut. 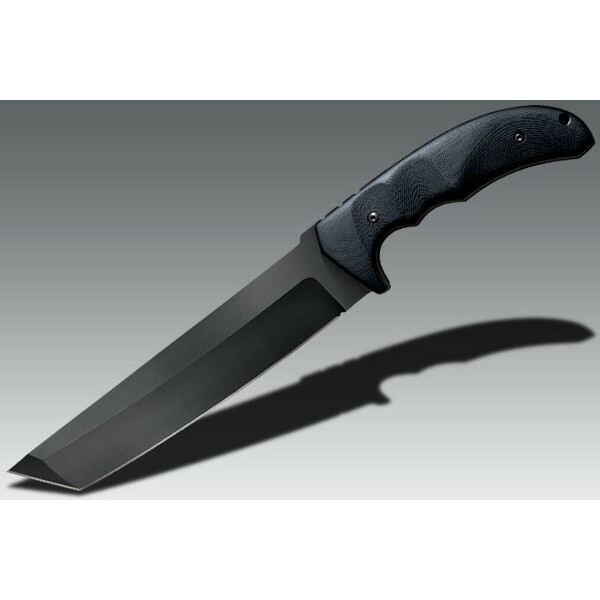 Its perfectly balanced taper-ground full tang is encased in 3D machined American G10 scales. Comfortable and secure in hand, it's equally at home as a reliable workhorse or life-saving combat knife. Complete with our ever popular Secure-Ex sheath (now compatible with Tek-Lok belt adaptors to facilitate concealed carry under a coat or jacket) , the Warcraft Tanto is rugged, dependable and as powerful as it is beautiful.